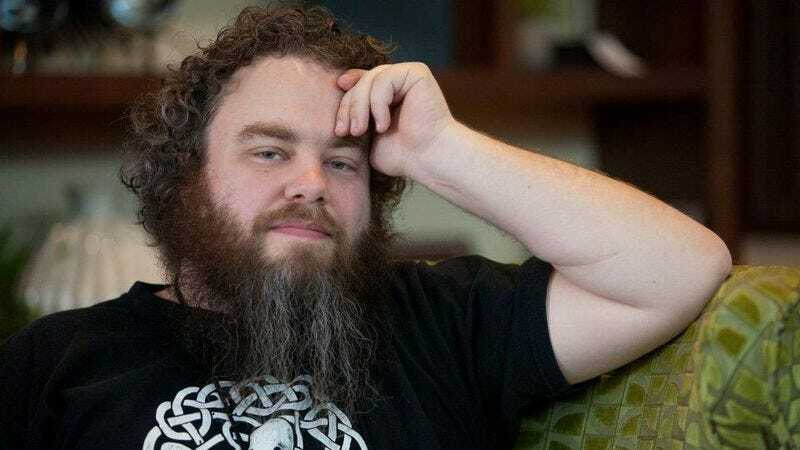 Lionsgate, apparently unwilling to choose whether to adapt Patrick Rothfuss’ The Kingkiller Chronicle into a TV show or a movie or a podcast or whatever, has decided it’s going to turn the bestselling series of novels into pretty much one of everything. (This is known as the “stomachache at a buffet” style of brand development.) The company has penned a deal with Rothfuss—a celebrated author from the “George R. R. Martin-esque Facial Hair” school of fantasy literature—to transform his series into multiple broadcast platforms, including a TV series, a set of movies, and a video game. Releasing its first installment in 2007, The Kingkiller Chronicle tells the story of Kvothe, an adventurer and bard as talented and brave as his name is hard to pronounce. The series covers three days in the hero’s retirement, during which he recounts his life story to a listening Chronicler. (The books pass at a pace of one novel per day of storytelling, with fans currently waiting four years and counting for the sun to rise on the third, The Doors Of Stone.) Now, the world Rothfuss has created, full as it is of magic, faeries, and fire-breathing lizards, will have room to spread out into multiple projects. “Honestly, I’ve never been very interested in a straight-up movie deal,” Rothfuss told reporters, adding that he decided to accept Lionsgate’s deal because it would, “Give us the screen time to develop the characters and show off the world.” (He also praised the company for treating him with respect as a storyteller, which you could argue he’s probably due, given how massively successful these books are.) It’s not clear yet whether the various adaptations of Kingkiller will all cover the same territory, or if various stories and novellas would be split into the different vectors. In any case, male monarchs should consider themselves suitably warned: there’s a lot of king-killing coming down the line in the next few years.